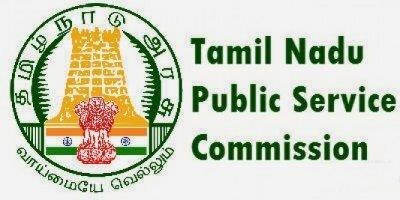 Tamil Nadu Public Service Commission (TNPSC) has released the recruitment notification for the post of Chemist & Junior Chemist. TNPSC invites application from eligible candidates through online mode up to 6th March 2019 for direct recruitment of the Chemist & Junior Chemist. Total Number of vacancies available for the TNPSC Chemist & Junior Chemist Recruitment 2019 is 2. The age limit will be considered as on 1st July 2019. “No maximum age limit” shall mean that the candidates should not have completed 58 years of age either on the date of Notification or at the time of selection/ appointment to the post. The educational Qualification will be considered as on 7th February 2019. The Chemist and Junior Chemist Posts have separate educational qualification for this recruitment which is mentioned below. An Associateship Diploma of the Institution of Chemists (India). Must possess a First or Second Class Post Graduate Degree in any Branch of Chemistry of any university or institution recognized by the UGC. Other things being equal, preference shall be given to a candidate who possesses a Post Graduate Degree in Analytical Chemistry or to a candidate who possesses practical experience for a period of not less than one year in any recognized research or Analytical or Metallurgical Laboratory. i.“Recognized Research Laboratory” means laboratory recognized by the Ministry of Science and Technology of the Government of India. “Recognised analytical or Metallurgical Laboratory” means a Laboratory, which is engaged in Testing and Analytical and issues Test Certificate. 1. M.Sc., (Applied Chemistry) awarded by Gandhigram University is equivalent to M.Sc., (Chemistry). G.O.Ms.No.133, Personnel and Administrative Reforms (M) Department, dated 28.07.1999. 2. M.Sc., (Applied Chemistry) awarded by Anna University is equivalent to M.Sc., (Chemistry). G.O.Ms.No.164, Personnel and Administrative Reforms (M) Department, dated 21.08.2000. 3. M.Sc., Analytical Chemistry awarded by University of Madras as equivalent to M.Sc.,(Chemistry). M.Sc., (Organic Chemistry), M.Sc.,(In-organic Chemistry) and M.Sc., (Physical Chemistry) awarded by Annamalai University as equivalent to M.Sc., (Chemistry). G.O.Ms.No.165, School Education (M2) Department, dated 04.07.2012. 4. M.Sc., Industrial Chemistry awarded by Bharathidasan University and Alagappa University is equivalent to M.Sc., Chemistry. G.O.Ms.No.24, Higher Education (K2) Department, dated 13.02.2013. Chemist – Experience in research in Pure or Applied Chemistry or Analytical Chemistry for a period of not less than 2 years. Junior Chemist – No Experience Required. There are two stages of recruitment for this TNPSC Chemist & Junior Chemist. Oral Test in the form of Interview. 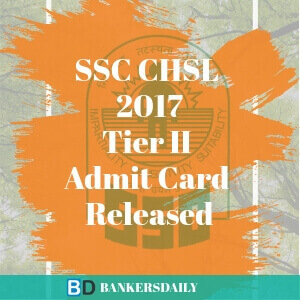 Final selection will be made on the basis of total marks obtained by the candidates in the Written Examination and Oral Test has taken together subject to the rule of reservation of appointment. Candidate’s appearance in both the papers of the Written Examination and in the Oral Test is compulsory. A candidate who has not appeared in any one of the papers in Written Examination or Oral Test will not be considered for selection, even if he/she secures qualifying marks in the Written Examination or Oral Test. Based on the marks obtained by the candidates in the Written Examination, the tentative list of eligible candidates for Certificate Verification will be announced in the Commission’s website. After verification of the original certificates, the eligible candidates will be summoned for Oral Test following the rule of reservation of appointment. The questions in Paper – I and Paper – II will be set both in English and Tamil. 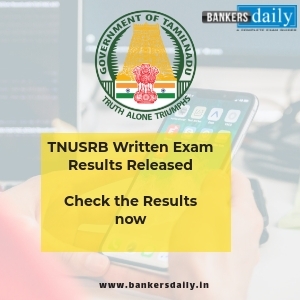 Aspirants can check the Official Notification regarding the TNPSC Chemist & Junior Chemist Recruitment 2019 from the official website of TNPSC or from the link that is given below. Aspirants can start applying for the TNPSC Chemist & Junior Chemist Recruitment 2019 from the official website of TNPSC, which is provided below.